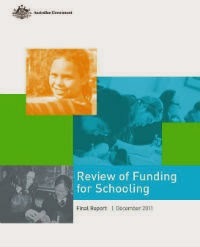 The Gonski Report is now back on a government website. But only after an extraordinary intervention by Fairfax Media. All traces of the 286-page school funding report and its associated submissions vanished from departmental websites shortly after the Abbott government took office in late 2013. The new education minister Christopher Pyne said he wanted to go “back to the drawing board” on school funding and charged his department with developing “a new model that is national, that is fair to everyone and that is needs-based”. The Gonski Review, the most comprehensive in 30 years, vanished from the official record. Other publicly-funded reviews including the Henry Tax Review and the Garnaut Climate Change Review remained on their dedicated websites. Asked through the freedom of information process why it had deleted the Gonski website the department referred to “the outcome of the federal election and the relevant machinery of government changes”. In January Fairfax Media used a little-known provision of the Freedom of Information Act in attempt to return the report to the department's site. The Act not only requires a range of documents to be supplied on request, but also stipulates those documents that are supplied be published or made available on a so-called disclosure log, which each department has to place on its website. Fairfax Media didn't need a copy of the report. It had already published one on its own website and had access to the National Library's copy available on its Pandora web archiving site. Last week the department granted Fairfax request and returned the report to its website, education.gov.au. But the department has returned to the web much less than was there before. It has published only the 286-page final report requested by Fairfax. The issues paper. The previously-published commissioned studies and submissions remain hidden. And the department has taken steps to distance itself from the report. It has included a disclaimer noting the report was commissioned by the “previous government”.